Molten metal is both extremely bright and extremely hot, so it isn’t safe to look at it without special eyewear. Yet, many people whose jobs entail furnace observation also have to do plenty of things where such eyewear isn’t appropriate. This can lead to a lax attitude when it comes to putting glasses on, especially if the intention is to take “just a glance” at the metal. Unfortunately, even a glance can cause eye damage over time if not immediately. Therefore, a solution must be found that makes it easy for you or your workers to protect themselves. This solution is simple: use clip-on flip-up furnace observation glasses. These attach to clear safety glasses or hard hats. When you need to look in the furnace, watch metal being poured, or use your torch, just flip them down. Once it’s time to look at things of normal brightness, flip them back up for a clear view. These glasses work great for people who spend most of their days with no need for dark glasses, but do need to wear hard hats. Instead of attaching to the safety glasses, these clip-ons attach to the hat itself. This ensures that they don’t get forgotten and that they work no matter what type of glasses or goggles are worn. As with other clip-ons, operation of these glasses is simple. Just reach up and flip them down before viewing something too bright for unshielded observation. We have two varieties of hard hat glasses for you to choose from: Foundry glasses and torching glasses. Hard hat foundry glasses attach to the hat with a gooseneck connector, and this puts them a good distance from your face. The other end of the connector attaches high on the front of the hat. With these, you’ll be able to wear substantial facial protection along with the glasses. These have substantial metal frames to add extra durability. The torching version of hard hat glasses connects to the brim of the hat. It works with hard hats and bump caps. While the framework is strong, the rims of the glasses don’t have as much metal as with the foundry version. These glasses come with replaceable lenses. An integral spring mechanism allows them to be attached to your hat or cap without tools. Both full-eye and half-eye versions are available. We offer several models of clip-on, flip-up glasses meant to be used with safety glasses. A variety of half-eye frames let you pick the perfect ones for your tastes and main eyewear. These are all labeled as torching glasses and are great for observing the procedure and the molten metal that results. The majority of our flip-up glasses have metal frames and attachment hardware, while the lenses are made of glass. This gives the glasses industrial strength, durability, and great resistance to heat damage. However, there are some situations in which metal or glass aren’t appropriate. If you will encounter these environments, we suggest that you choose our plastic option. It’s a rimless, full-eye pair with aviator-shaped plastic lenses. Like the other glasses in this series, it clips to your standard safety glasses and flips up when not in use. Choosing the right color of lenses is important for getting the proper protection. Your safety manual or supervisor should specify which one will be best for your particular job and its environment. The same is true when it comes to lens opacity. We offer our flip-up glasses in a variety of shades ranging from medium to nearly full opacity. The standard shades are green and blue, though some options are only available in green. If you contact us directly, we can also make glasses in other shades. Can Clip-Ons be Worn with Regular Glasses? In most cases, an environment that is extreme enough to require specialized shades is also extreme enough to call for standard safety glasses or goggles. Clip-on, flip-up frames do not offer the impact protection that safety eyewear does, so the safety eyewear is still required where flying material is a possibility. These frames also have no side protection, nor do they stop things from coming in from above or below the eyes. Therefore, you should keep wearing your standard safety eyewear even while these are in use. We started making glasses for Bausch and Lomb back in 1905, and in 1914, our grandfather founded his own glasses company. We worked in his basement until 1916, when we moved to New Jersey and began making lenses for the military. This connection lasted all the way until 2000, giving us plenty of experience with making glasses and lenses for extreme environments and specialized situations. Finally, in 2001, we exited the military market and switched to the production of safety glasses, lenses, and related equipment. It didn’t take long for us to need more space, and we moved to a new New Jersey location to handle the demand in 2006. Now, we are still a family-run company. Our president, Robert Phillips, has been in the optical manufacturing business since 1968. We have every intention of remaining a leader in the safety eyewear industry for decades to come. 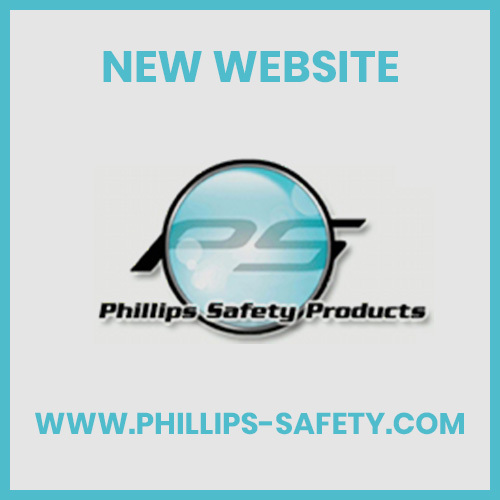 You can rest assured that you can count on Phillips Safety to satisfy all of your standard and custom safety eyewear needs. To learn more about our custom options, get help choosing a lens color or opacity, or discuss your other eyewear-related needs, just contact us. We’re always happy to help you protect your eyes. Are there any suppliers in the UK? We have forging operations where operators need to identify hot parts in furnaces and these are ideal for this. I apologize for the late response, we do ship to UK. We are a company situated in South Africa, Brits, in the North West region. We are looking for a company in South Africa that will be able to supply us with a clip-on flip-up furnace spectacle. Do you supply to any company in South Africa?